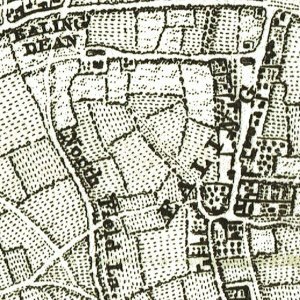 Wood Lane runs from Shepherd’s Bush to Wormwood Scrubs and lies wholly in London W12. 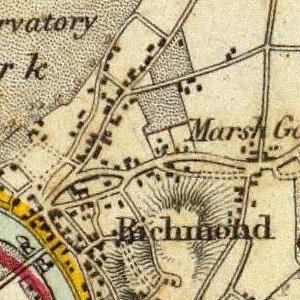 In the 1780s, the road was known as Turvens Lane after Turvens House located a short distance north of Shepherd’s Bush Green. By the 1830s it had received its current name. 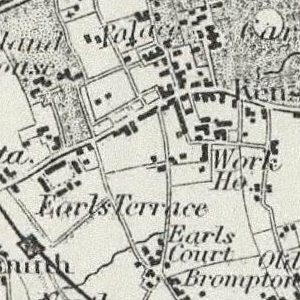 In the 1860s the railway arrived with a line running parallel with Wood Lane but the area was still rural in character with the buildings of Wood Lane Farm and Eynam Farm to the east of the road and a plant nursery to the west covering the land east of present day Frithville Gardens and south of the BBC Television centre. 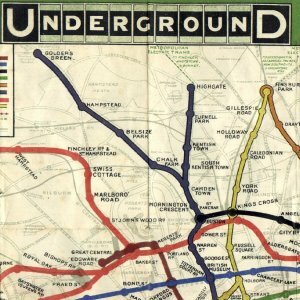 The coming of the Twopenny Tube - the Central London Railway opening between Shepherd’s Bush and Bank in 1900 saw the first industrial development as the company’s new depot, repair shops and power station located onto a 20 acre site at Wood Lane. The depot was also served by a single track spur from the West London Railway which was used to bring coal to the power station. In 1905 the French Chamber of Commerce proposed holding a Franco-British Exhibition in London to promote the industrial achievements of both countries. 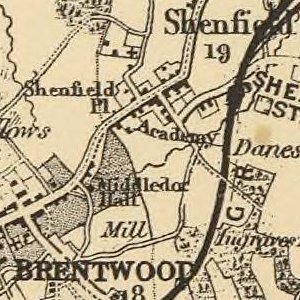 It was to be a very opulent affair housed in a spectacular setting, built on 140 acres of former farm land on the west side of Wood Lane. The plan got the Royal seal of approval and work started in January 1907 with contractors working round the clock to complete the exhibition site within a year. The majority of exhibition buildings were constructed on an impressive scale and set amongst specially laid-out gardens and waterways. Most of the buildings featured highly ornamented plastered exteriors which were weather-proofed with white paint and the site quickly became known	locally as the ‘White City’. The exhibition area also included a large stadium to accommodate 150,000 spectators and was built to host the 1908 Olympic Games. 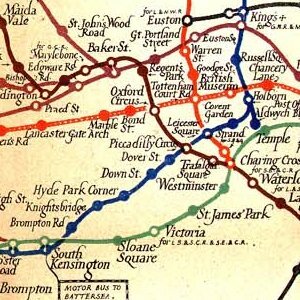 The closest existing stations were Shepherds Bush on the Central London Railway and the adjacent Uxbridge Road on the West London Line. 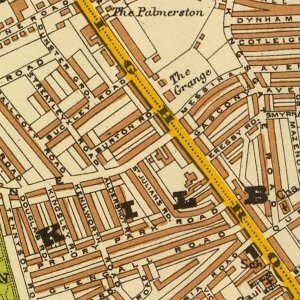 Both stations fronted onto Uxbridge Road and were nearly half a mile away from the exhibition site by road. To overcome this an exhibition entrance was built between the two stations from where a raised arcaded walkway incorporating exhibition halls was built 30’ above railway owned land linking the two stations with the exhibition site. It was soon clear that the walkway would not be adequate and in July 1907 the Central London Railway received parliamentary consent to extend northwards from its Shepherds Bush terminus to a new station at Wood Lane. The station was to be sited on a single-track loop in the northwest corner of their depot. 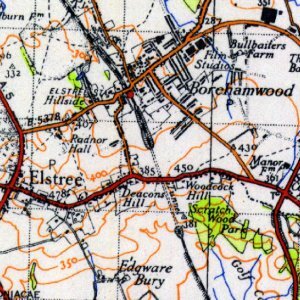 The area to the west of Wood Lane, north of the current Loftus Road stadium, south of Du Cane Road and east of Bloemfontein Road was laid out as the exhibition site. The numerous pavilions faced with white stone earned the exhibition the nickname "the White City" which subsequently remained with the area, even after the exhibition closed and its pavilions were demolished. The 1908 Summer Olympics came to London. These games were originally scheduled to be held in Rome, but were re-located on financial grounds following a disastrous eruption of Mt Vesuvius in 1906. White City Stadium (originally The Great Stadium) was then built on Wood Lane on the exhibition site for the 1908 Summer Olympics and is often seen as the precursor to the modern seater stadium and noted for hosting the finish of the first modern distance marathon. It also hosted greyhound racing, was briefly the QPR home ground and also hosted speedway and a match at the 1966 World Cup, before the stadium was demolished in 1985. It was the first Olympic Stadium in the UK. The BBC Television Centre on Wood Lane was the headquarters of BBC Television between 1960 and 2013. Officially opened on 29 June 1960, parts of the building are Grade II listed, including the central ring and Studio 1. Although Wood Lane is on an Underground Line which has been in operation since 1864, the station is newer. In 1908 the Franco-British Exhibition and the 1908 Summer Olympics came to London, the first of a number of major events in White City that attracted infrastructural investment by railway companies. Among others, the Metropolitan Railway opened its Wood Lane station on the Hammersmith branch to serve the event. 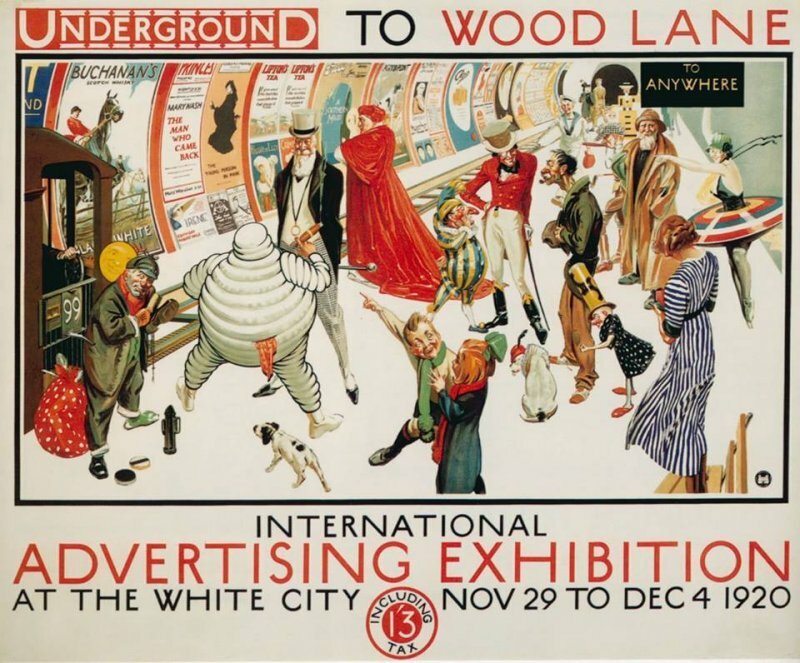 The station opened and closed intermittently, and was renamed twice, to Wood Lane (White City) in 1920 and White City in 1947, before it closed in 1959 following fire damage. In 2005 work commenced on the large-scale Westfield Shopping Centre. As part of the work, improvements were made to public transport including rebuilding Shepherd’s Bush Central line station, a new Shepherd’s Bush railway station and two bus interchanges. It was decided to build a new station on the Hammersmith & City line, just south-west of the old Metropolitan station on Wood Lane. 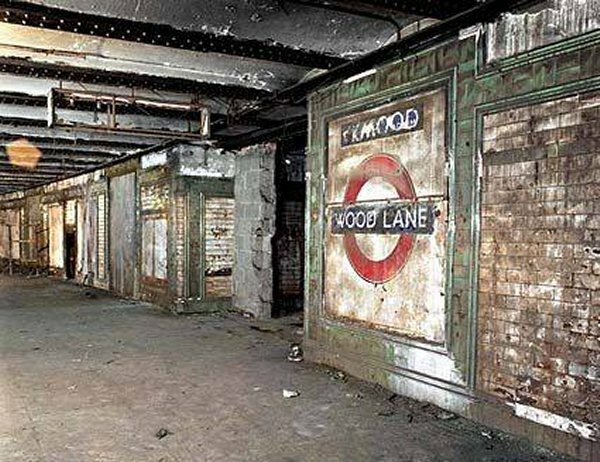 In 2006 Transport for London decided on the name Wood Lane, reviving a historical name. This was the first time that a new station on the Tube had been given the name of a former station. The station is close to the former BBC Television Centre and Loftus Road stadium is also nearby.